Nose: Mirabelle plum, apricot, yellow melon, mixed with subtle notes of wood and delicate spices. Palate: Surprisingly rich and fuity, yet delicate and well balanced. 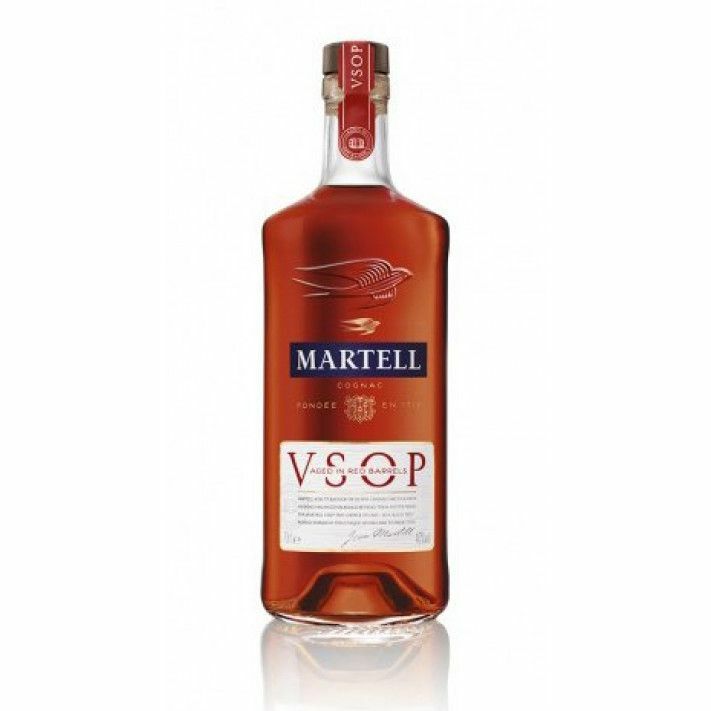 The Martell VSOP Aged in Red Barrels Cognac is a real treat, and offers extraordinary value for money. It takes the taster on a wonderful sensory journey, right from the moment you first lay eyes on it. The Cognac has a rather unique, luminous appearance, tempting you to enjoy its deliciously spicy aromas that have been imparted from the red oak casks in which the Cognac was aged. On the palate it continues to impress, with sensual yellow fruits coming to the fore, combining power and delicacy in just the right measures. Enjoy this quality VSOP in many ways; perhaps in the traditional manner, as a digestif gently warmed in the hand. It works superbly over ice, or even straight from the freezer! Whatever way you choose to drink it, this Martell Cognac will certainly be well received at all kinds of occasions.